George Bernard Shaw is credited with having written, “He who can, does; he who cannot, teaches.” When it comes to the lettering arts, however, Shaw’s notion does not hold ink. Those who can make their living by “doing” often choose to teach as well, not only because it is fun, challenging and spiritually rewarding, but also because it often pays better than their “day jobs.” The continued popularity of hand lettering and illustrative type creates a high demand for workshops and online classes taught by young, passionate typophiles, and sites like Skillshare.com are increasingly attracting renowned designers like David Carson, Bob Gill, Chip Kidd and Ellen Lupton to teach as well. The sustained appeal of hand-lettered designs has drawn some of the industry’s best typographic illustrators to teaching. 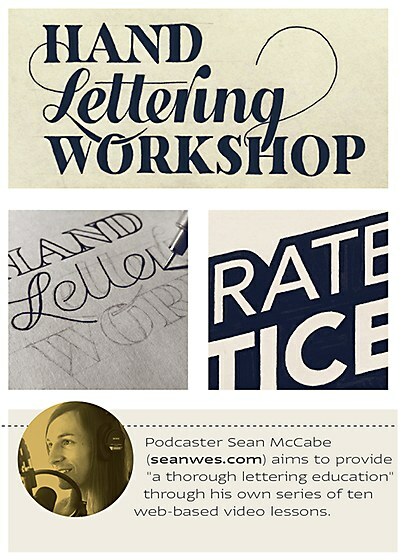 Live workshops—such as this course formerly offered by Jessica Hische—and a plethora of inexpensive online classes give students a start in the largely self-taught field of lettering arts, while providing a sizable side income to the lettering pros. Skillshare does not publish the rates it pays instructors, but Ethan Bodnar, dean of the company’s School of Design, explains, “Teachers earn the vast majority of every ticket they sell through their own marketing, and a sizeable share of every ticket we sell through Skillshare.” A typical class costs between $19 and $25, with some classes drawing as many as 2,500 students. Most blogs and educator sites estimate that Skillshare teachers net about 50 percent of their classes’ total profits, while a few claim that as much as 85 percent goes to the teacher. Skillshare confirms that a number of its teachers have been able to leave their client-based jobs to teach full time, and further states that 15 percent of its instructors have made over $1,000 for a single-session course. 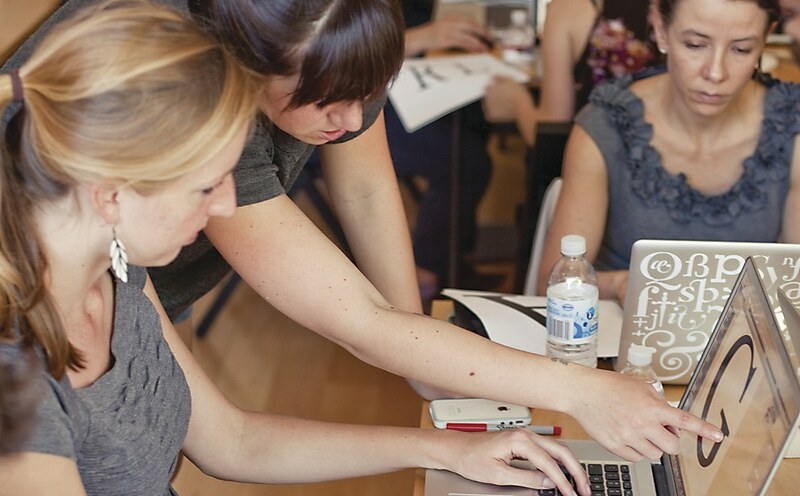 Tech educator Avi Flombaum, at one time Skillshare’s top teacher, earned $100,000 in a year. While this is exceptional, it’s pretty clear that there can be a compelling financial incentive to being a Skillshare educator. 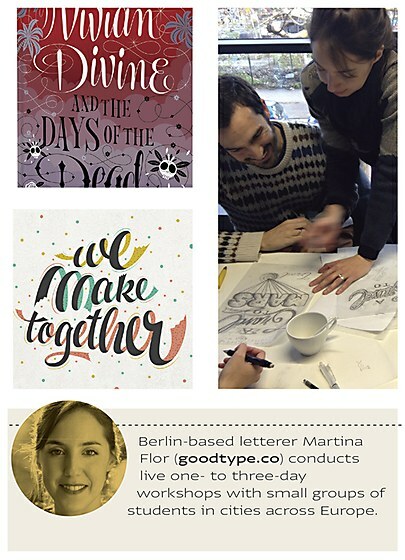 Jessica Hische, who is well known for her lettering, illustrations and expletive-packed presentations, teaches an immensely popular Skillshare class based on her “Daily Drop Cap” series. Through the process of designing their own drop caps, her students learn how to get ideas out of their heads and onto paper, how to get started sketching letters, how to get the most out of Illustrator and, perhaps most importantly, how to critique their own work. Hische had been running her own workshops for about a year before joining Skillshare, but she put her classes online in order to reach more students. “So many people wrote and told us that our cost was too high or that they were having trouble getting into the classes because they are limited to twelve attendees,” she explains. 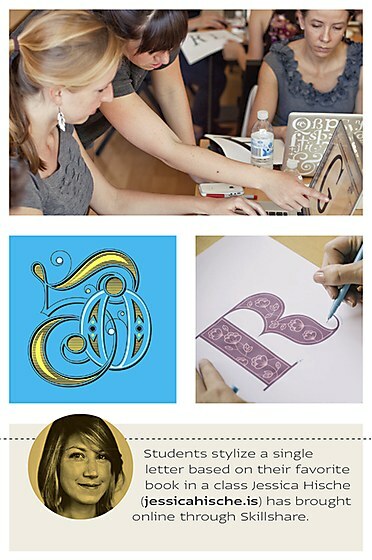 “I was happy to be able to make a workshop-like experience for people with low budgets or people who couldn’t fly out to take an in-person workshop.” At $25 a head, her class provides a service to the design community for a reasonable cost, and with over 5,000 students so far, Hische is earning a significant revenue stream while expanding her reputation and influence. 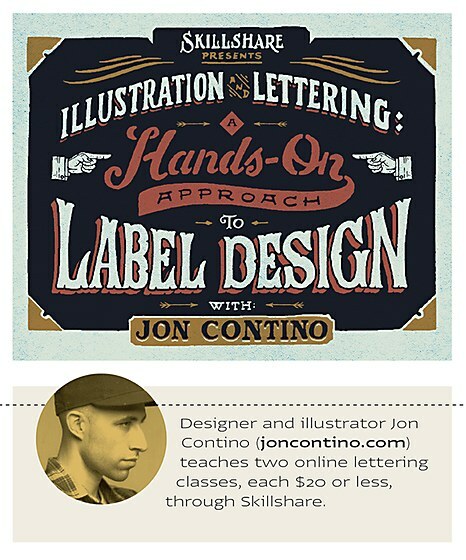 Jon Contino, one of those designers who seemingly does everything (he’s a graphic designer, lettering artist, clothing and product designer and writer, with heavy-hitting clients such as Coca-Cola, Nike and the New York Times), has also taken up teaching on Skillshare. His lettering class takes a different approach than Hische’s, and he has different goals for his students. “The class is more about defining your brand than anything else,” he says. “It’s focused on designing a label. When you design a label, you’re really saying a lot about your product, and it’s important to do it the right way. In many ways it’s tougher than designing the logo for the brand.” Contino focuses on how to find a balance between providing too little and too much information in a label, while making sure it is attractive to viewers. But he also uses the class to share his process. “Once someone completes the class, they’ll have experienced the freedom of detaching themselves from the world of computer-based design,” Contino says. “They’ll learn how designing by hand will boost their confidence in all other aspects of design.” He gives young designers an inexpensive leg up, and does all right himself, with over 2,500 students having paid $20 each to take his class to date. 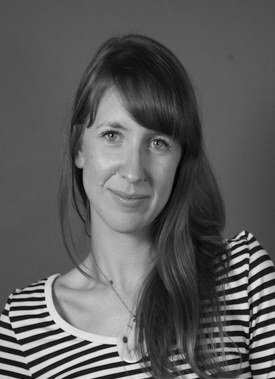 Sophie Thiellon, Framestore’s executive producer of live action, brings a head for business to creative work. 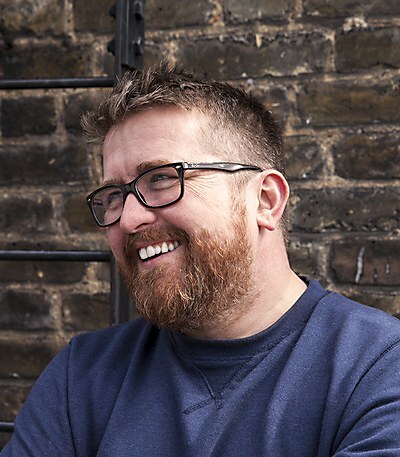 Paul Cackett, CEO of Plaything and creative director of th1ng, discusses new opportunities for web and mobile content. 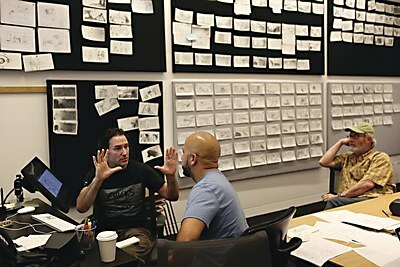 Sam McMillan discovers what salesmanship has to do with storyboarding from Pixar's Mark Andrews.